On the heels of Healthcare Quality Week last week, we wanted to share our conversation with Dr. Sandy Fogel, the surgical quality officer at Carilion Clinic in Roanoke, VA. Although he has been a practicing surgeon for nearly 40 years, Dr. Fogel’s enthusiasm for quality improvement makes it sound as if he is just getting started. 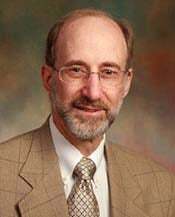 After medical school at Washington University in St. Louis and surgical training at the University of Rochester School of Medicine, Fogel practiced surgery in Baltimore, at Johns Hopkins for 15 years and then at Greater Baltimore Medical Center for another decade. While at Greater Baltimore, Fogel became involved with the National Surgical Quality Improvement Program (NSQIP), an outcomes-based program developed by the American College of Surgeons to measure and improve the quality of surgical care in hospitals. That involvement deepened in 2008, when he became the NSQIP Surgeon Champion at the Carilion Clinic in Roanoke, Virginia. Today, after a variety of projects that have transformed the clinic’s surgical experience, Fogel is a committed advocate for healthcare quality improvement—publishing papers and speaking about quality to healthcare organizations, all while continuing to work on projects at Carilion and practicing surgery himself. How did you get involved in quality improvement? Back in my residency, I promised myself that I would work to prevent unnecessary harm to patients by their surgeons — that I would be part of the solution. I was active in peer review, and in my career I’d been involved in hundreds of event reviews — including four major reviews that involved removing privileges or suspending licenses. I’ve had a longstanding interest in keeping the field of surgery properly evaluated, so when Greater Baltimore Medical Center adopted the National Surgical Quality Improvement Program in 2006, I was very intrigued. I became friends with a nurse who was responsible for NSQIP, and I became an ex-officio NSQIP surgeon champion. When I joined Carilion in 2008, the chair gave me 30 percent protected time to be the NSQIP surgeon champion, so it was not something I had to do as a sideline with two to five percent of my time — I could really work on it. So my role didn’t evolve as a result of my passion for quality improvement. It was the other way around — my passion for quality improvement has evolved as my role in NSQIP grew. What kinds of projects have you been involved in as NSQIP surgeon champion? When I arrived at Carilion Clinic, we decided to attack the problem of surgical site infection (SSI) first. When we looked NSQIP’s best practices to reduce SSI, there were many we were not doing at all. We were doing others, but not very well. So we started with a few small projects, which enabled us to take care of some low-hanging fruit at the same time we were developing a system to do more involved projects. Our first project looked at normothermia — keeping patients warm. We collected some data and found that 35 percent of our patients came to the recovery room warm, with a temperature of 36.8 degrees Celsius or above. That meant 65 percent were below the temperature where the SSI rate starts going up. In our project to address normothermia we got that percentage up to over 90 percent of the patients coming into the recovery room warm. The literature also said that surgery patients should shower with an antiseptic soap before coming into the hospital, and they weren’t. We arranged to give patients a bottle of antiseptic for a shower before coming in. Then we took on a much bigger project to improve post-operative glucose control in our critically ill patients. That was my trial-by-fire, where I really learned what implementing a quality improvement project involves. Carilion has eight intensive care units, and getting them all to agree to do this was very difficult. I had to gather large numbers of people in a room, define the barriers, find the brick walls we needed to go around, and figure out how to work the system and get people on my side. It took about a year and a half from the time I conceived the project to the point where it was properly up and running and having good compliance. Tell us about the current project you’re working on. It’s called enhanced recovery and it’s the largest single project I’ve done to date. We started in 2014 and it’s still rolling out and getting bigger. After an abdominal operation, it typically takes six to eight weeks before people get back to themselves. But with enhanced recovery protocols we can cut their hospital stay by several days, and their overall recovery by several weeks. It costs us about $500 per patient to employ the enhanced recovery protocol — but just the shorter length of stay in the hospital pays for itself many times over. These protocols are multifaceted, and they affect what takes place before surgery – in the hospital, in the operating room, in the recovery room, and even when patients go home. These protocols completely change how I learned to treat a post-abdominal operation patient as a resident, and it’s difficult to get everyone on board and get people to learn all these things. Every single hospital that does surgery is talking about enhanced recovery, but less than 5% have been able to successfully pull it off. What makes improving surgical quality so difficult? Many hospitals know what to do, and why they’re doing it, and they even have someone who’ll pay for it — but actually implementing the process is very difficult, and that’s where hospitals fail. They don’t do the legwork. They don’t have somebody who has the time, to be a surgeon champion pushing it. They don’t involve a senior nurse who knows the ropes of making a hospital work. And they don’t have someone who understands surgical quality improvement and how to implement it. So they’re missing one or more key links, because it’s very difficult to get other nurses and clinicians to buy into the idea of quality improvement. Surgeons get very good at what they do, and they don’t want to change. Deming said, “Every system is perfectly designed to get the results that it gets”. So if you have a system and you’re very good at your system, you will get consistent results. That doesn’t mean they’re quality results, though. As soon as we ask someone to change, what happens to efficiency and effectiveness and reliability? The outcomes change. Eventually it gets better, because you’ve now become good at your new system. But the fear of short-term reliability and efficiency problems are a barrier. How do you overcome that resistance? Persistence and data. Persistence and data. Persistence and data. With the current project, we need to show patients who do have shorter stays, less mortality, lower pneumonia rates, etc. compared to those who do not go through the enhanced recovery protocol. It’s just much better care! But getting buy-in takes lots and lots of one-on-one conversations. It takes group conversations. E-mails. Posters. Letters. Talks. You can’t make it obnoxious, but over the course of months you’ve got to use every kind of tool you have, and keep it up. We’ve converted some non-believers. When we started this, there were probably only two of us on the surgical team who really believed this could work. Now it’s more like half the surgical team, and I’d say two-thirds of us are doing most of the components, so we’re getting there. You talked about your passion for quality improvement. Where does that come from? When I was in Baltimore, I operated on one patient at a time, and I made an impact in one person’s life at a time. But I’ve realized that I can do better than I did for 24 years in Baltimore. I’m not working with just one patient at a time now. The entire surgical experience at this hospital is improved. Quality improvement is something we have to do. This isn’t a game we’re playing. It’s not just doing statistics. It’s not just collecting data. It’s not just doing projects — it really has meaning. When we reduced our mortality rate, we calculated that it meant about 300 more patients left the hospital through the front door rather than through the morgue. Those are our spouses, parents, children, friends, and family members, who — instead of leaving in a hearse — are leaving in a wheelchair, getting in a car, and going home. Now that is making an impact.